What problem does Nehemiah hear about in these verses? What caused the people to get into this difficult financial situation? How did they try to stay alive? What did their richer brethren do for or to them? Was this lawful or not? What do you think the richer Jews should have done in this situation? Why? We must have a correct viewpoint about money – What does God give us money (and other resources?) What are we to do with the money that we have? These rich Jews approached this issue selfishly. It seems they thought “This is my money. I will use it to make more money for me.” We should not think of our money like this. Instead we must realize that we are stewards. Everything we have belongs to God. 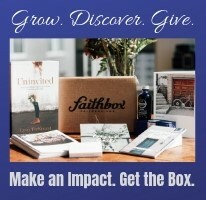 He entrusts us with resources like money so that we can use it for Him and others around us. We should not foolishly throw money away. Neither should we be stingy and selfishly hold on to it and use it for ourselves. See Proverbs 3:27,.. “Do not withhold good… when it is in your power to help them.” See also Acts 20:35 and Proverbs 19:17. How did Nehemiah feel when he heard about this? Why was he so upset? What did he do first? What he do next? What lessons can we learn from Nehemiah here on leadership? What lessons can we learn from Nehemiah on dealing with sin? What was Nehemiah’s solution to the problem? What did this solution require of the richer Jews? Do you think it was easy or difficult for them? Why? A good leader is invested emotionally in his people – Here is a case of righteous anger. Nehemiah was a leader of the people. He was trying to inspire them to work together on an important, but difficult task. They were facing adversity from their enemies. And now he heard this news about Jews exploiting other Jews. He was not happy. Notice that a good leader cannot and does not ignore sin committed by the people he is supervising. A good leader is active, not passive. A good leader cares spiritually and emotionally for his people. A good leader shows empathy and concern for those he cares for. A good leader takes action – Nehemiah’s strong emotional response forced him to take action to address this issue. Good leaders don’t just stand by and let sin and disunity rip apart God’s people. Instead he takes action to deal with the sin. A good leader is not afraid to stand up against sin – Here Nehemiah publicly and directly speaks out against the culprits. He puts the blame squarely on the backs of the richer class. Why? They were the ones who were directly disobeying God’s command in the book of Deuteronomy. He doesn’t mince words or candy coat it. Instead he brings the problem out and makes it clear who is responsible and exactly what the wrong they have done is. A good leader challenges his people to do better (8) – The Jews had apparently banded together to try to repurchase as many Jewish slaves from the Gentiles as they could. Great! It was an excellent and honorable plan. But now they are regressing. They were becoming like the nations around them by valuing wealth and luxury over their brethren. Nehemiah knew they had done better in the past. He also knew they could do better in the future. Nehemiah did not adopt a pessimistic and negative attitude about the people. He did not assume the worst, but he believed the best. He optimisticly believed they could do better and so challenged them to do so. I was teaching a play class at Gymboree. I and my assistant teacher kept asking one father to encourage his kid to take part in the activities. The child was very able to do it and intelligent enough. But the father kept saying, “He can’t do it. He is too little. He doesn’t know how.” Instead of believing in his kid and encouraging his kid to reach his full potential, he was pessimistic. Because he didn’t believe in and help his boy to accomplish the tasks, his son didn’t learn or improve. A good leader wants his people to be a good testimony – Nehemiah realized that their actions would be scrutinized by others. By treating each other poorly the unbelievers around them would have reason to criticize and slander them. Why would anyone want to believe in the God of the Jews if they saw the Jews exploiting and abusing each other? That would not attract people to God. It would repel them. See John 13:34-35, I heard of a man who said he didn’t want to go to church because he saw how people treated each other there. That is a terrible testimony. Our actions or attitudes should never repel people from God. A good leader challenges his people to repent – Notice Nehemiah’s conclusion. He did rebuke them, but he didn’t leave them with a rebuke. See 1 Timothy 3:16. He instead offered them a path to restoration. He offered them a solution. There is a great difference between a father who is angry at his child for hitting someone and says, “What is the matter with you? You are a wicked and rude boy.” than the father who says, “You should not hit. Go and ask forgiveness. Next time you can share your toys instead of hitting someone who tries to take them from you.” How do you feel when you are scolded? If you are like most people you don’t feel good. But our ultimate goal is not to let people feel badly. That may be necessary to bring about repentance, but the final goal is to restore them. This is what Nehemiah does. He asks the people to stop charging interest and to immediately return everything to those poor people including their property, homes, interest, wine, oil, etc. Nehemiah knew that words alone were not enough. He challenged the people to a specific and achievable action. How did the people respond to Nehemiah? 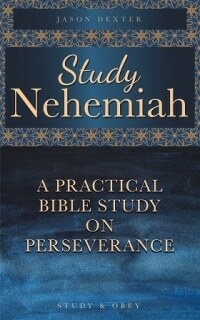 What did Nehemiah do to ensure that they followed through? Why was this important? Are there any lessons for us in this? Do you think Nehemiah’s words were too harsh in verse 13? Why or why not? What final step of true repentance do we see in verse 13? Repentance requires changed hearts and changed actions – The people agreed. They publicly promised to follow through and do exactly what Nehemiah said. Wow! Wouldn’t it be great if we were humble and teachable like this! Wouldn’t it be great if we immediately repented when confronted with our sins! Wouldn’t it be great if we took whatever steps are necessary to ‘make it right!’ Repentance without changed actions isn’t worth very much. What do we learn about Nehemiah’s position in this passage? What rights did he have as governor? What was different about Nehemiah from the other governors? What sacrifices did he make? What motivated him to make these sacrifices? What can we learn from his leadership here? What kind of a model did Nehemiah set for his fellow Jews? Because he feared God he sacrificed his personal rights – Unlike the other governors, he did not get the governor’s allowance from the people even though he was allowed to do so. This was normal and customary, but Nehemiah did not do it. Why? What did it cost him? Because he feared God he sacrificed his time and energy – He himself worked on the wall, together with his servants. A good leader jumps right in to serve. He doesn’t ask other people to do what he himself is not willing to do. Because he feared God he sacrificed his own money – Instead of demanding the governor’s food allowance he served one and hundred and fifty Jewish officials every day at his own cost. That is not cheap! He was not looking after his own interests, but the interests of others. Nehemiah asked God to remember him – Nehemiah was not pursuing earthly rewards or treasures, but heavenly ones.